In order to work in Australia while studying you must have a student visa with work permission. International students have the same rights and protections under the law as resident workers. You are entitled to the same pay and minimum conditions of employment as resident workers. For more information, visit the International Students Work Rights Legal Service on the JobWatch website or visit the FairWork Ombudsman website. 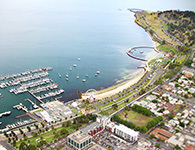 A presentation and information sheets can also be found on the Study Geelong Student Resource page here. It is free to apply for a TFN on the Australian Taxation Office (ATO) website or using an official ATO form. Often referred to as 'super', supperannuation is a way of saving for retirement. An extra 9.5% (rate current at July 2017) is paid on top of your wage into a superannuation fund. Employees 18 years or over who earn more than $450 per month (current July 2017) are entitled to receive super. International students can apply to transfer this money overseas after leaving Australia, when their visa has ended. There are requirments you must meet to be eligible. Visit the ATO website here. Find out where to get help preparing for the job market and where to look for a job. There are many kinds of volunteer jobs available. Community-based volunteer roles can be a great way to meet local people and contribute your knowledge and skills.